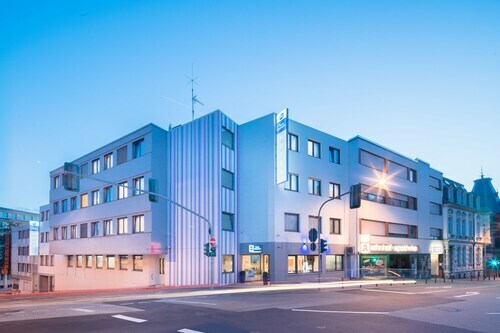 Located in the heart of Pirmasens, this hotel is 0.1 mi (0.2 km) from Dynamikum and 1.4 mi (2.2 km) from Palatinate Forest Nature Park. Old City Hall and Galerie Venezia are also within 15 minutes. Pirmasens Central Station is only a 5-minute walk. 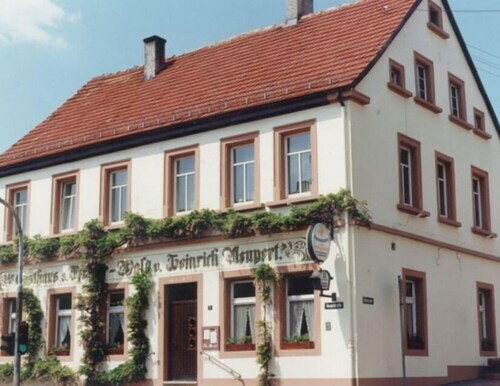 Situated in Pirmasens, this hotel is within 1 mi (2 km) of Dynamikum and Palatinate Forest Nature Park. Old City Hall and Galerie Venezia are also within 1 mi (2 km). Pirmasens Central Station is 15 minutes by foot. Situated in Pirmasens, this apartment building is 0.5 mi (0.8 km) from Old City Hall and 1.3 mi (2.1 km) from Palatinate Forest Nature Park. Dynamikum and Galerie Venezia are also within 15 minutes. Pirmasens Central Station is 13 minutes by foot. 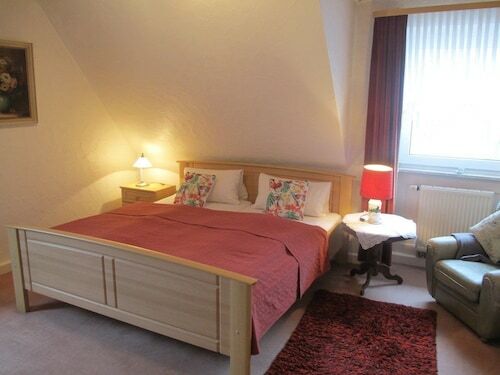 Situated in Pirmasens, this hotel is 0.3 mi (0.5 km) from Dynamikum and 1.5 mi (2.5 km) from Palatinate Forest Nature Park. Old City Hall and Galerie Venezia are also within 15 minutes. Pirmasens Central Station is only a 3-minute walk. Situated in the suburbs, this luxury hotel is within 3 mi (5 km) of Palatinate Forest Nature Park, Dynamikum, and Old City Hall. Galerie Venezia and Westwall Museum are also within 3 mi (5 km). 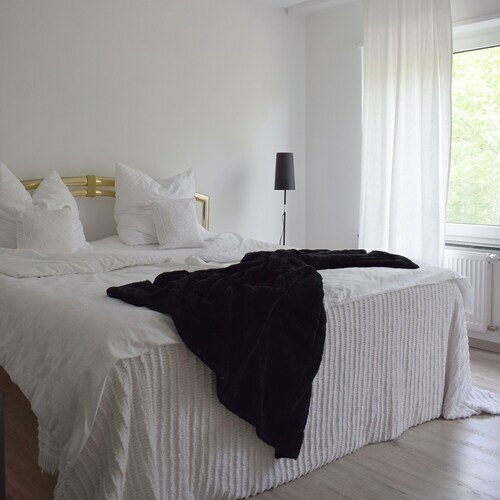 Situated in Lemberg, this guesthouse is 0.1 mi (0.1 km) from Palatinate Forest Nature Park and within 6 mi (10 km) of Galerie Venezia and Dynamikum. Old City Hall and Westwall Museum are also within 6 mi (10 km). 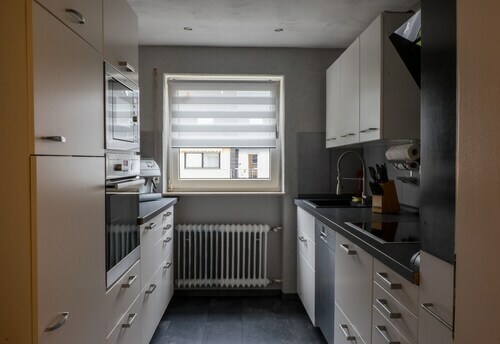 Situated in Höheischweiler, this romantic apartment building is close to Dynamikum, Old City Hall, and WAWI Chocolate World. Local attractions also include Galerie Venezia. 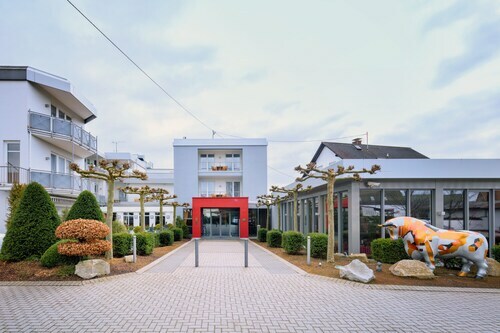 Situated in Ruppertsweiler, this apartment building is 0.1 mi (0.1 km) from Palatinate Forest Nature Park and within 6 mi (10 km) of Galerie Venezia and Dynamikum. Devil's Table and Old City Hall are also within 6 mi (10 km). 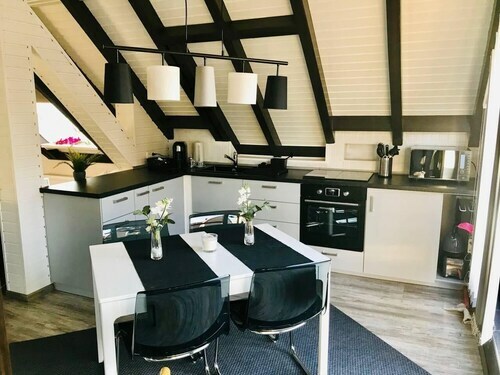 Located in Münchweiler an der Rodalb, this family-friendly vacation home is 0.1 mi (0.1 km) from Palatinate Forest Nature Park, and within 6 mi (10 km) of WAWI Chocolate World and Devil's Table. Dynamikum and Galerie Venezia are also within 6 mi (10 km). Münchweiler (Rod) Station is only a 4-minute walk. Situated in a rural location, this resort is within 3 mi (5 km) of Palatinate Forest Nature Park, Altschlossfelsen, and Northern Vosges Regional Nature Park. Evangelische Kirche Obersimten and Westwall Museum are also within 9 mi (15 km). 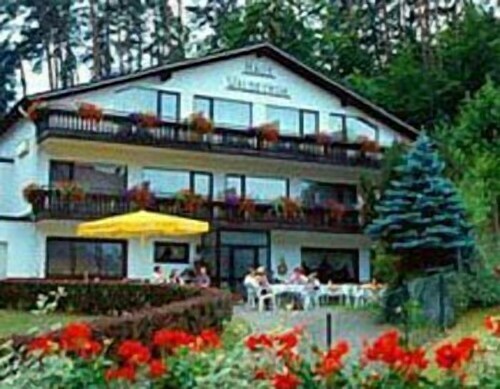 Situated in a rural location, this hotel is within 1 mi (2 km) of Altschlossfelsen and Palatinate Forest Nature Park. Northern Vosges Regional Nature Park is 1.9 mi (3.1 km) away. If you are searching around for something engaging to do during your travels, a visit to Galerie Venezia is an excellent idea. If you do decide to check it out, your journey will take you to Pirmasens, 70 miles (113 kilometers) outside of the capital of the state, Wiesbaden. If you're mainly here to see Galerie Venezia, it would make sense to get a room at the Best Western City Hotel Pirmasens. At 0.4 miles (0.6 kilometers) away, it's the closest option to the sight. If you're feeling a bit run down from all your adventures, stop for a minute and enjoy a delicious caffeine hit at Just Lounge, just an easy walk away. Perhaps you're still hungry? Dieters Pfannenpizza is also not far away and offers patrons a more serious dining experience. Finish off a pleasurable day out by wandering down the road for a few drinks at Mokka Pirmasens. Old City Hall ought to appear on the itinerary of any visitor with an interest in local history and architecture. Don't forget to inquire for tour and visitor information. Dynamikum offers numerous informative science exhibits that will appeal to every member of the family. Knowledgeable shoppers may want to head straight for WAWI Chocolate World, an iconic store which some people specifically visit the region for. Browse the exhibits at Westwall Museum to learn more about the military and its history. Looking for a slower pace? Make arrangements to have a tour of Evangelische Kirche Obersimten, a pleasant place of prayer. Hop on a train at the closest station, Pirmasens Hbf, when you're finished at Galerie Venezia. It's a mere 0.6 miles (1.0 kilometer) away. How Much is a Hotel Room in Galerie Venezia? Hotels in Galerie Venezia start at $69 per night. Prices and availability subject to change. Additional terms may apply.